The ornamental grasses are still a no-show (all cut back and barely visible now), but look … planted as an after-thought the teeny little Salvia plants I couldn’t resist at a nursery visit are coming along splendidly! Who would’ve thought? I’m always reading rave reviews about them, nearly every garden blogger mentions them at some stage and show theirs off – but if I’m being honest, I’ve never been overly enamoured. Up until now. They are so much more beautiful in reality than they come across in photographs. I absolutely adore them now. They are lovely, lush and green, cute little flowers and the whole plant smells simply divine. 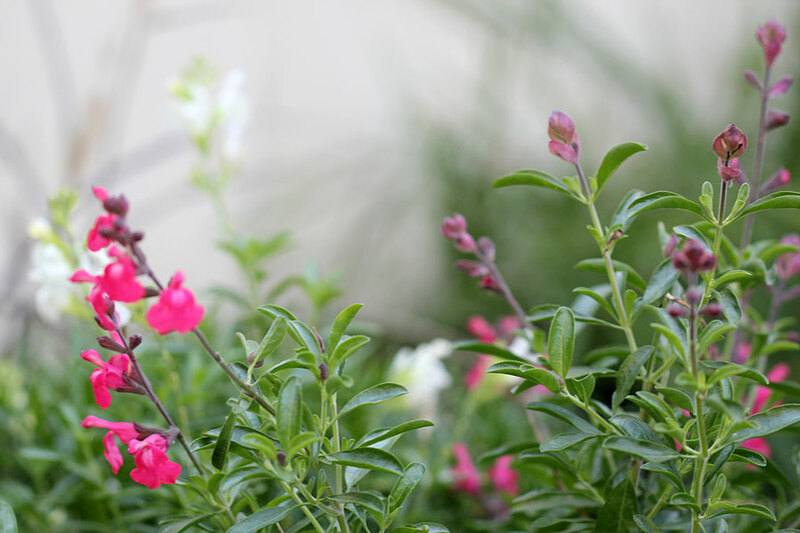 I love just everything about the Salvia and am so glad I planted them. What you can’t see now are three Russian Sage (Perovskia atriplicifolia) which I’ve planted behind these. They are still small and I don’t expect them to come into their own for a few months, but when they do … I think it will look wonderful here. 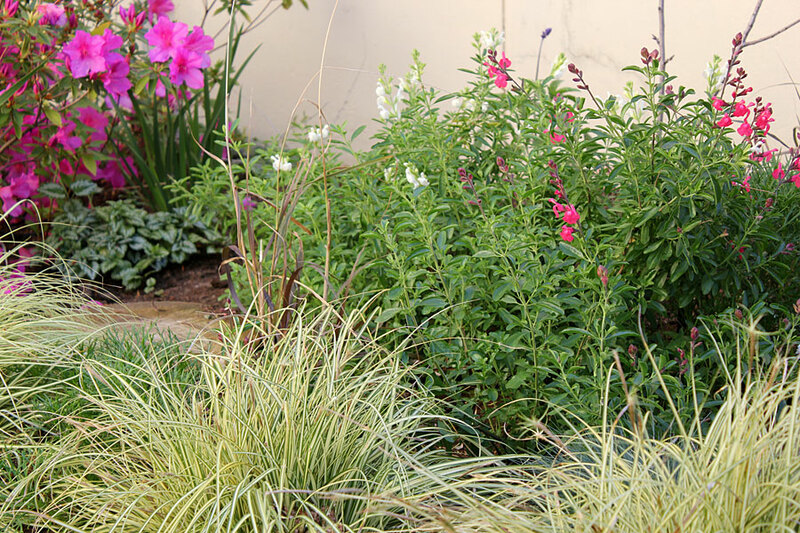 Whispy tall grasses, Russian sage, Salvias, daisies and shorter grasses … going to be lovely. So what happened to the Ipheon bulbs I planted? If you look carefully in the first photograph above, on the left hand side towards the front, you will see, peeping through in between the Carexes, some grass like foliage and tiny little blue flowers. 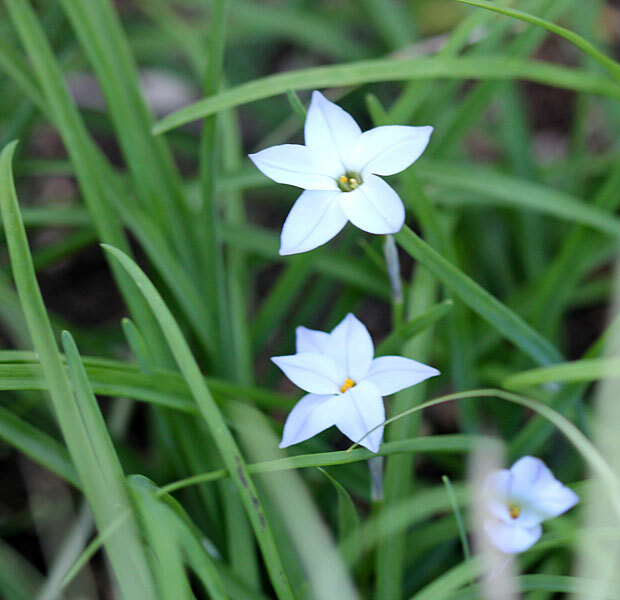 These are the Ipheon bulbs I planted in June. They have just started flowering and are very cute. They work well there, but you sort-of have to know they are there to really see them. I’m hoping they will spread out a bit. 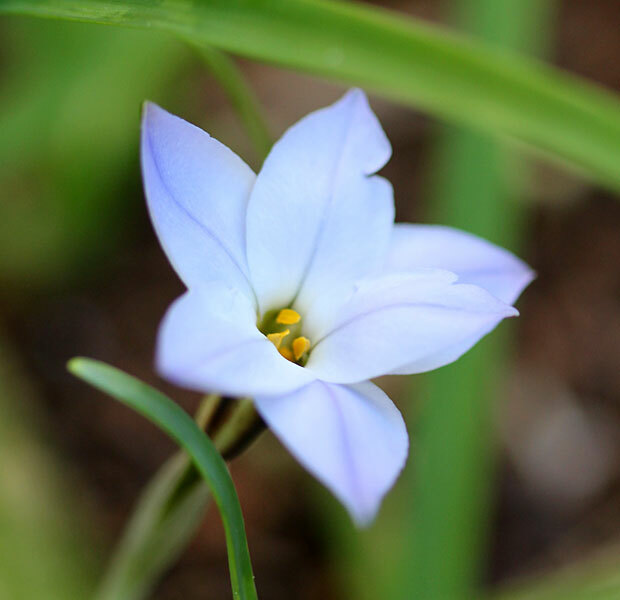 They’re so small and like a little surprise discovery when you spot the dainty blue flowers for the first time. Lovely! Here are some close up shots of the little Ipheon flowers. So that’s the state of my “Grass Garden”. Not much grass but lots of prettiness! I do like your Salvias Christine but the tiny flowers of Ipheon have a fabulous colour. Christine I also love Ipheon bulbs but they come up in late spring in a sunny dry spot for me and salvias the same. How lucky to see them in early spring. I would bet with the cold and wet of late your grasses are still waiting to break dormancy. My salvias do seed around and I welcome it. This garden is already looking lovely. Hi Christine! Salvias are precious. They are such troopers in the garden! 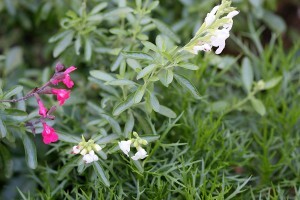 I love Salvias, of any shape or size. They’re tough, deer don’t generally bother them, and they bloom their little hearts out every season. I have Salvia greggii that reseeds itself every year in the same spot. I never do anything to it. I don’t even water it, but it looks great! Your Ipheon blooms look so dainty. Will they spread over time? Hey!! wow! Things are starting to show their faces!! Yup, gotta love the salvias. 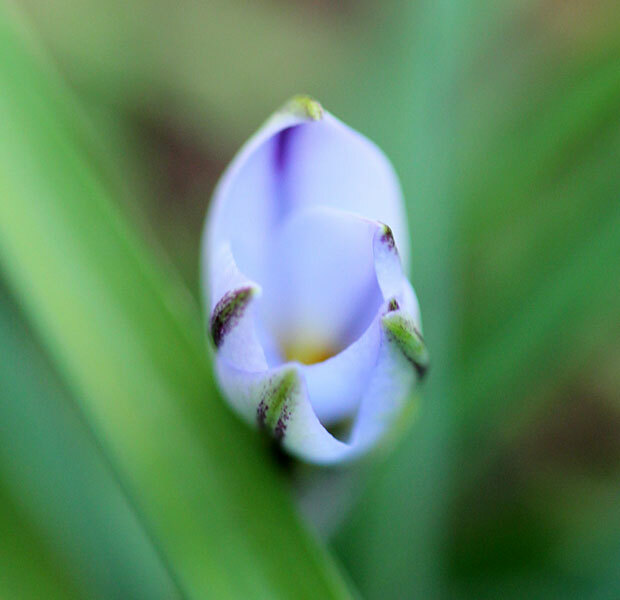 I just love mine – they are coming along, but not yet in bloom. 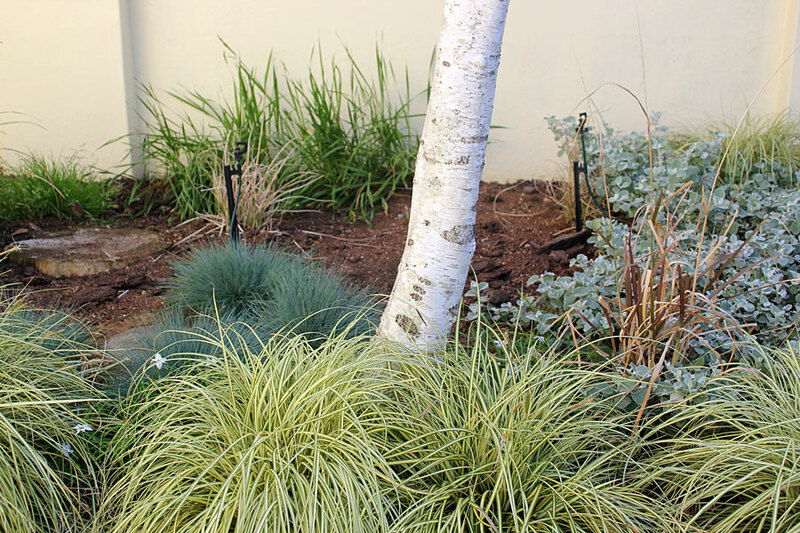 I trimmed back all my grasses and they are just shooting out! I;m going to spend the weekend feeding and hope that this will give them that needed boost! Yey for spring!! Love the salvias! And they are such an easy plant, you will absolutely love them. Your little ipheon flowers are very pretty. Sometimes the best treasures are tiny gems. Salvia greggii it looks like — with grasses and Russian sage will look fantastic! The white-barked tree is great there too! I need to plant more grasses in my garden. 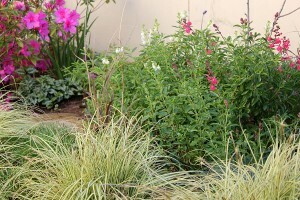 I like how the grasses look with the salvia.